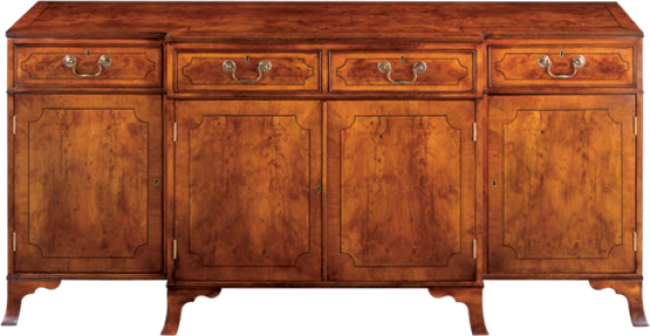 Sheraton style breakfronted cabinet with crossbanding and Ebony stringing. Four drawers with cabinets below and adjustable shelves. Splay bracket feet. Anqitued solid brass hardware. Pictured in Yewwood.